Not many people stop to think about how many light bulbs they have in their home. Chances are, their costs can add up. And if you’re still relying primarily on old-style, incandescent glass bulbs, you’re effectively burning money every time you turn one on. If you want to lower your utility bill this summer and beyond, consider taking a block of time one afternoon to switch out your energy-gobbling bulbs for LED (light-emitting diode) replacements. According to USA Today, it’s possible to save up to 10 percent on your energy expenses with the upgrade. (Depending, of course, on how often you use indoor lights, exterior flood lamps, and etc.) LEDs need only a fraction of the electricity a conventional bulb uses: A 60-watt equivalent uses 8.5 watts in order to give you the same illumination. A single bulb may cost just $1 a year to operate. There are other benefits. While LEDs typically cost more up front, they last 25 times longer; they emit much less heat during operation; and because they're made with epoxy lenses and not glass, they’re less prone to breakage. If you’re willing to invest a little more money, Smart LED bulbs that are equipped with Wi-Fi can be set on timers and work with sensors so the light goes off and on depending on room traffic. Smart bulb starter kits start at around $70. Not in the mood for a complete socket-to-socket overhaul? 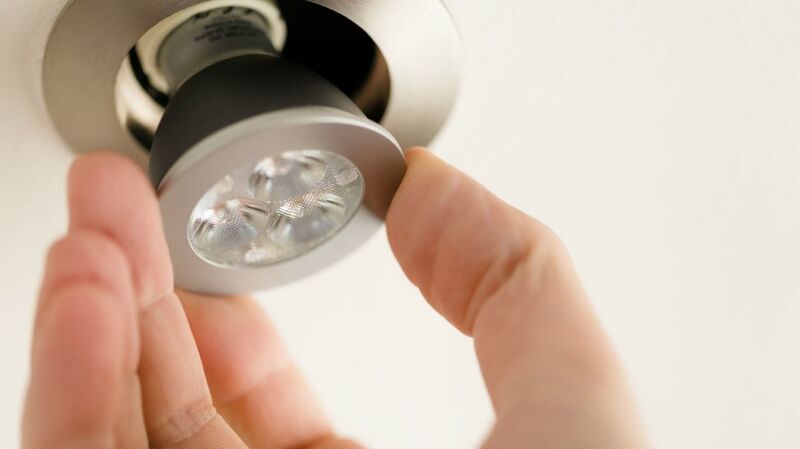 Pick five of your most-used lighting fixtures in your home and make sure they’re LED-equipped. You can expect to save $50 to $75 a year on your electricity bill.